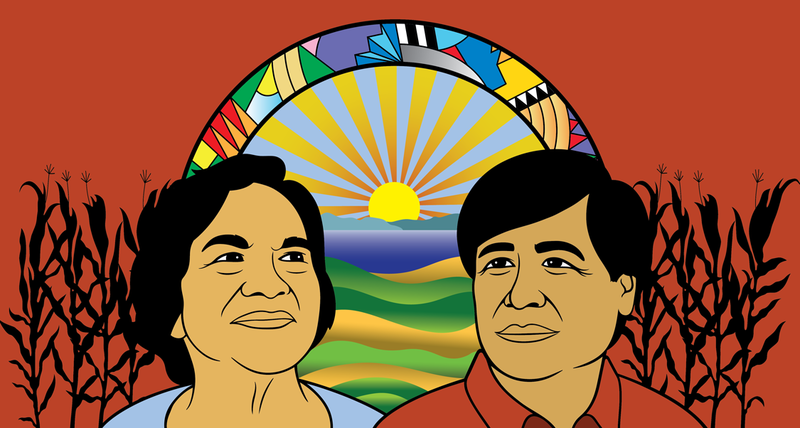 The César Chávez and Dolores Huerta Commemorative is a citywide effort to honor César Chávez and Dolores Huerta by emphasizing Service Learning and Environmental Justice. The commemorative period begins on the Spring Equinox, the traditional beginning of the planting season, and extends to the anniversary of his passing. 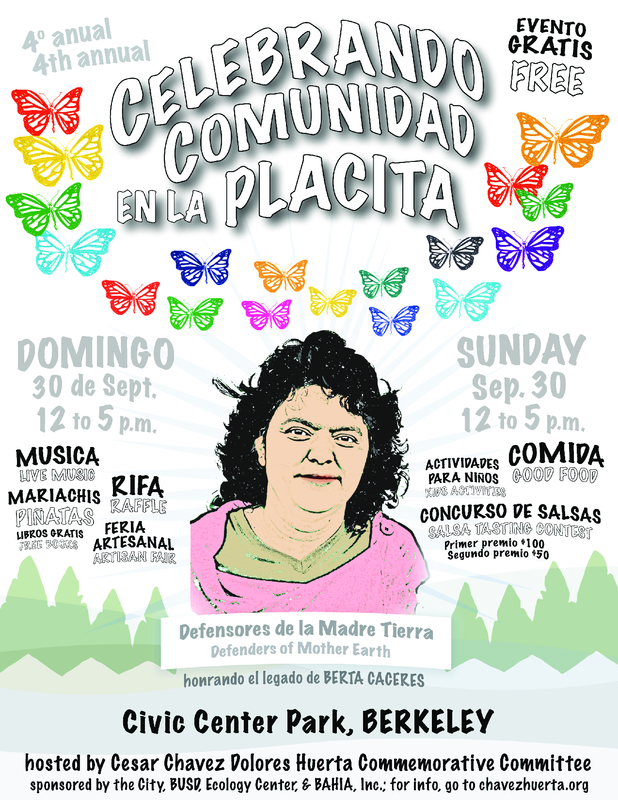 With a heavy heart the César Chávez Dolores Huerta Commemorative Committee must postpone our third annual La Placita event, scheduled for this coming Sunday, October 15th. 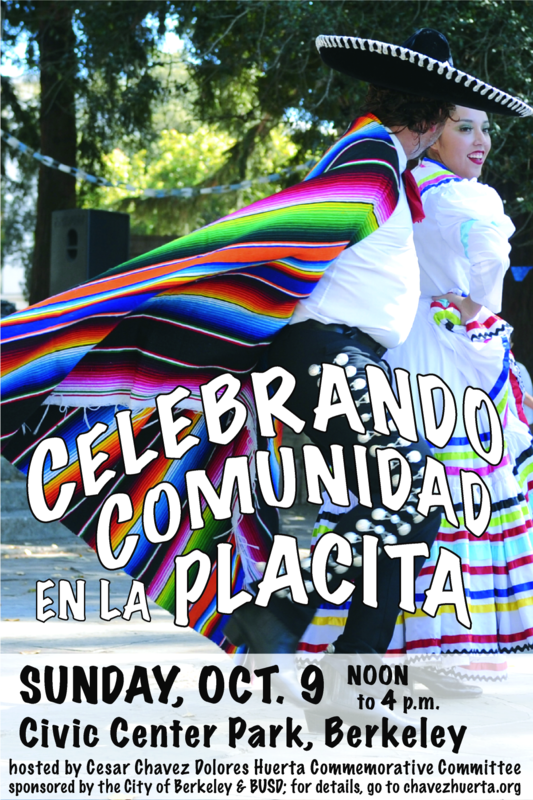 Due to air quality concerns for this coming weekend throughout the Bay Area, we have determined an outdoor gathering such as La Placita would be unsafe. 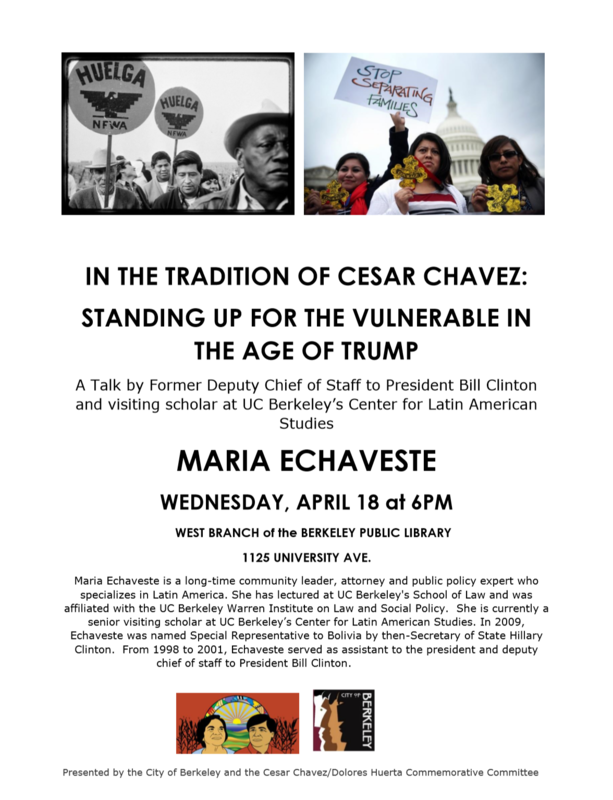 Please signup for our newsletter to receive revised La Placita details and notifications for future César Chávez Dolores Huerta Commemorative Committee events. Thank you for your support and stay safe this weekend! Sunday, October 9th from 12p.m. to 4p.m.